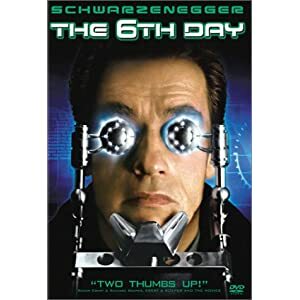 The 6th Day is a movie about cloning. Human clones are outlawed, but Arnold is a clone (or has a clone - you can't be sure which). There are clone assassins out to kill him, and they don't care how often they die because more of the same are on the way. Fans of Schwarzenegger movies will not be disappointed. There's the action you expect, some good suspense, and a good supporting cast, too. This film is rated pretty highly on Amazon. Check it out!